This Clamshell Mold is one of our most popular molds, because it can be used for so many different products! 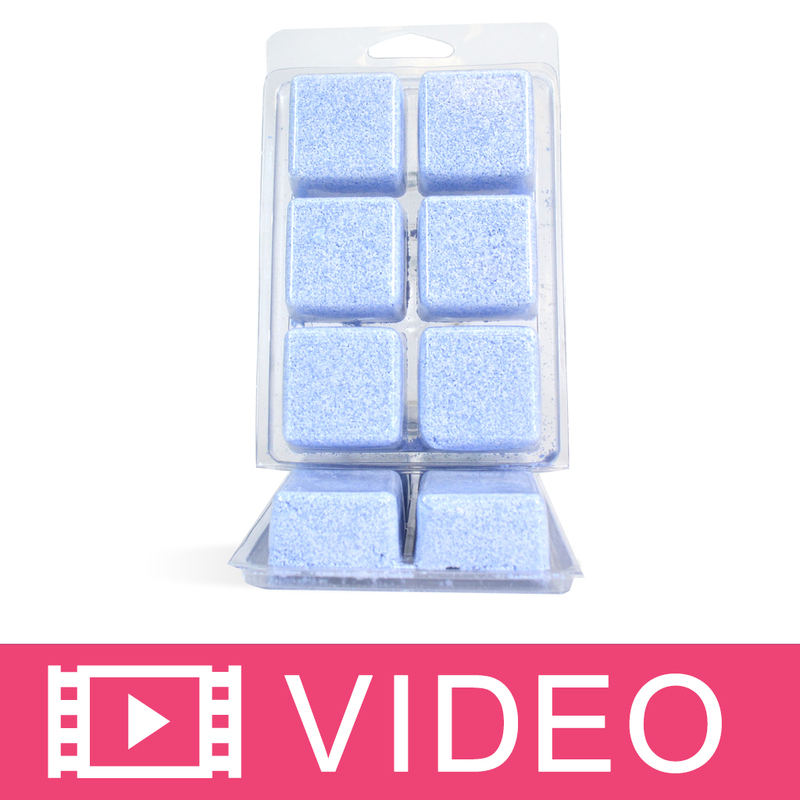 Use this Mold to create 6 (1) oz squares of soap, lotion bars, wax tarts, toilet tabs, sugar cubes and more! Holds 6 oz of soap or wax. 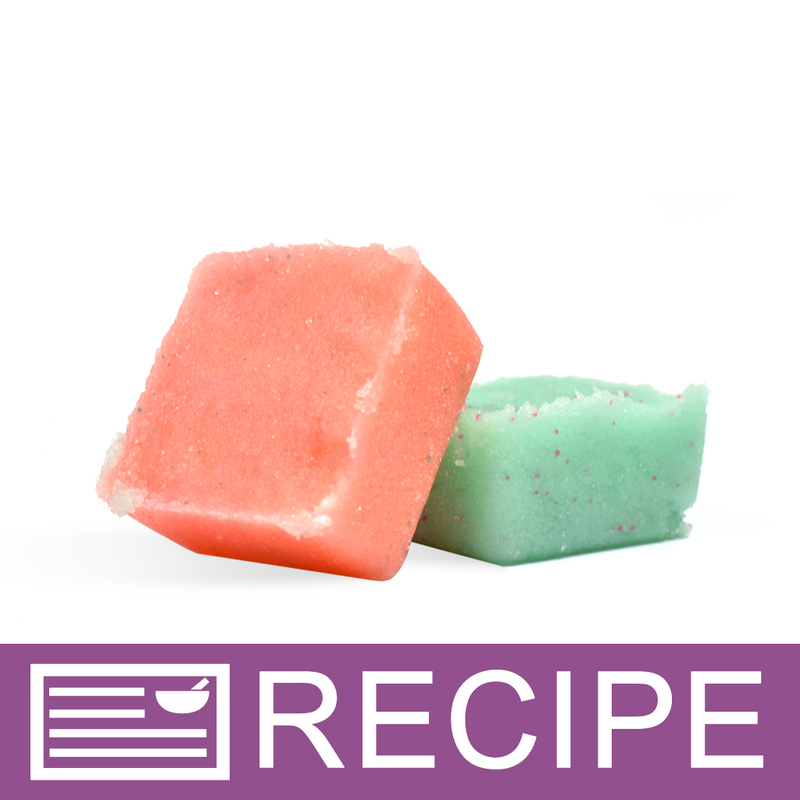 Makes (6) 1 oz bars of soap or wax. Made in China. Maxiumum pour temperature: 180º F.
Total Measurement: 5.75" x 3.75"
COMMENTS: Super convenient to make shower tabs for aromatherapy. Make the tabs right in the package then just snap the lid closed and apply your label. Done! COMMENTS: I originally bought these to make bath bombs/fizzies. I have found that they are the perfect size also for the dishwasher tablets and toilet bombs that I make!!! I will be ordering these again for sure. COMMENTS: This was part of a kit - product worked well - would buy for future products. COMMENTS: These are ok. It seems like they could be a little sturdier. 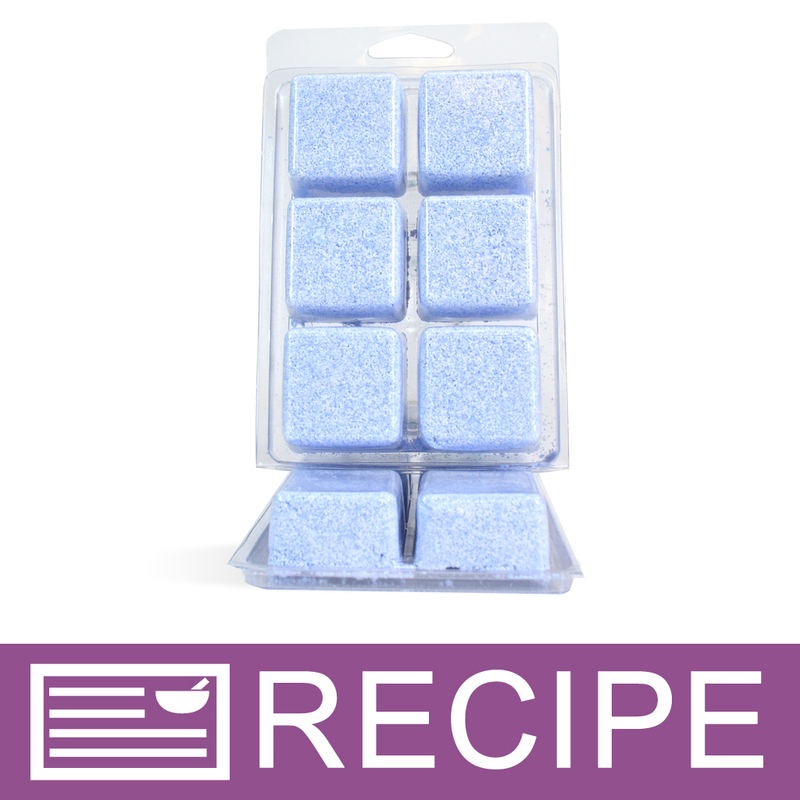 "Shower steamers and sugar scrub cubes"
COMMENTS: Theses make the perfect size for many products and it is great to have lid attached for ease of packaging, perfect for traveling. when using for gifts I place 3 different products/single scent in 1 clamshell to give an assortment of items. My favorite gift variety is a single scent of 2 lotion bars, 2 soaps, 2 bath fizzies Love, love the toilet fizzy kit! COMMENTS: I use these for any left over bath bomb mixture. They work well and the plastic is relatively thick. COMMENTS: Nice and thick plastic. Product comes out well. COMMENTS: Easy to use for a professional look. Mold and packaging. COMMENTS: Will purchase for all of our tarts. COMMENTS: Love to use these for my wax melts. COMMENTS: I will be ordering these, but it is worth the price difference to order the larger sizes. I ordered just a couple to see the size. I will be using these for bath melts. COMMENTS: In searching for an option to both mold and package my solid sugar scrub cubes I stumbled upon these containers. I looked ALL over for containers that would be larger than the average 'wax tart' mold and could not find them! I only ordered the set of 50 which adds up to be a bit pricey, but now that I know these clamshells are exactly what I need I will ante up and order the larger quantity. Easy to work with, easy to fill, easy to top off with a label and a couple of embellishments...a great idea for solid products that are used one time only. COMMENTS: Great for candle tarts. COMMENTS: These clamshells are great for when you make too much melt and pour and you want to save it for another use. It stays clean and is easy to store. I bought these to make something else (which didn't happen) but, I am so happy I found them. COMMENTS: These worked very well for gym bag soaps or lotions. I packaged as one time use. Lid works well and simplifies packaging also. COMMENTS: I am using these clamshells for both my soy melts and solid sugar scrubs. They are the perfect size for single use as well as travel. "Great container / packaging for fizzie cubes"
COMMENTS: Loved the ease of use and quick packaging. They have a hole to hang for easy presentation too! COMMENTS: I use these for solid sugar scrubs. They hold up well and its a lot easier not having to unmold. COMMENTS: we use this for our soy tarts. Customers love the size and the plastic can handle the hot wax. COMMENTS: I love the size and ease of use of these clamshells. Holds about 5-6 oz of tart wax. "What is considered a set?" Staff Answer A set consists of one clamshell with a lid. "An event planner has asked me and couple other just starting business to do labled samples with contact info to help us get introduced. Is this the shell I want to use for 6 different samples in one package ? " Staff Answer Yes, this along with any of our clamshells would wok great for marketing your new company. Choose the one that best represents your company. The back is flat and will allow you to advertise! Good luck with your start-up. "Would these stand up to CP soap?" Staff Answer These can only withstand maximum temperatures of 150-160ºF, so it would depend on how high of temperatures your recipe reaches during the saponification process.